A new way of saving the rainforest from a passionate art community. As some of you may already know, our company is very fortunate to be owned by someone who cares about the world and the people who inhabit it, and we are committed to offsetting our carbon footprint by donating to innovative rainforest charity Cool Earth. We are always looking for new ways to be more sustainable and make positive changes to the environment, and as a publisher of high-quality art books, our parent 3dtotal thought the passion of the art community would be a great place to start. 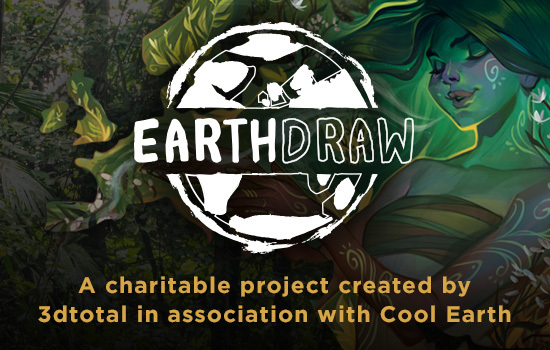 This month 3dtotal launched their first artistic fundraising campaign, Earth Draw. As part of this campaign, five extremely talented and respected artists, Lois van Baarle, Tran Nguyen, Yuumei Wenqing Yan, Kerby Rosanes, and Audra Auclair, will each complete a section of artwork to create a limited edition piece. This is an exclusive print that will only be available to purchase through Indiegogo, and all proceeds will be donated to Cool Earth. 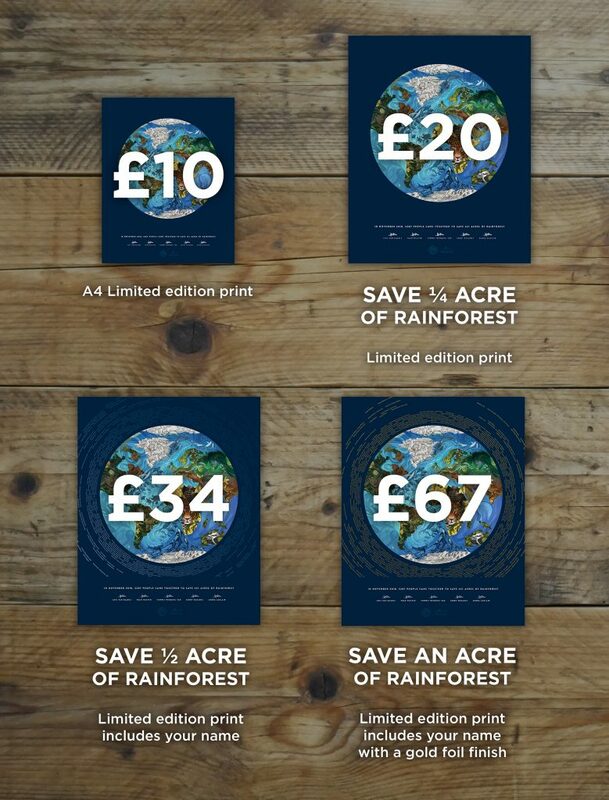 As Cool Earth are able to protect one acre of rainforest for just £60, we hope to be able to save hundreds, or even thousands, of acres of rainforest with this project. We hope you’ll consider supporting and spreading the word about 3dtotal’s mission to create art to create change! For more information on the Earth Draw project and how you can show your support, visit the Indiegogo page.